I hated writing yesterday's Harvey Awards nomination report. The morning after nominations are released should be a time for congratulating the nominees and wishing them good luck. It should be a starting point for some good-natured arguing over which nominees are deserving and which aren't. Instead, the announcement became hijacked, at least for me, by the fact that one of the leading nominees barely published anything in 2008 and sported an awards history that indicates they would have been a surprise choice in a year they were flush with released material. John Gallagher and the other folks at Buzzboy and Sky Dog Press did nothing wrong, but they had to be asked some tough questions because their showing in the 2009 nominations demanded that kind of attention. It was odd, and unsettling, and said nothing good about the state of the Harvey Awards. I think it's time we all gently make a push for the Harveys to shut it down. It's not just that I or others out there might object to some of their nominees, that this group of folks may not like the Witchblade manga, or that another group of folks doesn't think much of the comics being produced through Zuda, or that in this great Golden Age of Comics any awards program that nominates a Nascar comic probably needs to have a jacket thrown over its face and rushed out of the room. Silly things are going to happen with every awards program, and even though there are more silly things than usual this year, and they hardly make a positive case for the Awards, none of them particularly say "it's over." The fact that multiple nominees are up for current awards for past work, that's also the kind of glitch that's arguably part of having a comics awards program. These things happen. None of that means the Harveys are okay, and in fact the Harveys' primary problems are deeper than the sum of these concerns and cut to the core of their identity. The first, fundamental reason the Harveys should consider shutting it down is that they've experienced a run of no-confidence votes from the professional comics population for almost a decade now. Maybe more. The Harveys' great distinction is that they draw from a professional pool of voters as opposed to an industry pool. But not enough professionals vote. The reason why oddball nominees keep floating to the surface is because the nominations process depends on a level of direct professional participation that they haven't been able to achieve. Such participation is just laborious enough that enough people pass; this places strain on the entire system. Because the overall voting is so thin, a simple, effective, understandable, get-out-the-vote e-mail campaign becomes much, much more likely to not just influence but dominate any single year's awards. It's always been like that. If you know enough backstage industry names, you can track the history of the Harveys by the individual company employee who got people to vote that year -- or at least figure out where Chris Oarr was working and when. No amount of awards reform is going to change this. And support is weak throughout. 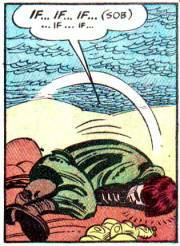 The Harveys has long been an itinerant awards (Dallas, Pittsburgh, New York, The Phantom Zone, Baltimore), and the ceremony as it exists now in the safe haven of a perfectly fine comics convention is poorly attended. I'm told that at a recent year's show, the keynote speaker didn't even bother sticking around for the awards presentations. The second reason why the Harveys should consider shutting it down is that they offer nothing to the overall awards landscape except, well, more awards. That they ever did offer up something unique was sort of an accident, a combination of a significant lean towards mainstream material by the Eisners for a stretch and Kim Thompson being interested enough in the Harveys to provide his professional friends, creators with whom he worked and eventually readers of the TCJ message board with information as to what had come out in the previous year -- a huge leg up when faced with that startlingly blank sheet of nominating ballot. That's right -- the Harveys have always been subject to the manipulation of one or two devoted individuals, it's just that it used to be the very smart and genial Kim Thompson and his admirably, relatively catholic-comics reading circle of influence on behalf of a certain kind of comic instead of random and self-interested flashpoints popping up year to year on behalf of specific projects. The Harveys might be able to boast of being a pros-only award, but not only is that slightly distasteful, the assumed levels of participation don't support this notion as a significant marker of the awards, and it certainly doesn't show in the results. At this point, the Harveys neither provide a strong contrast with the Eisners nor do they do anything uniquely their own the way that the Ignatzes (a small press festival award), the Maisie Kukoc (a cash award for a mini-comics maker), even the Reubens (cartooning in all its aspects, newspaper-focused) do. You could probably save the Harvey Awards with an administrative overhaul and a lot of attention and time and maybe even money, but why? What are you saving exactly? I can get behind that "you're not the boss of me/don't take my awards away" impulse, but what really goes away if the Harvey Awards go away? Other than Jim Steranko emceeing to a crowd that looked like the "Springtime For Hitler" audience, is there even a single highlight from past awards programs? The fact that they're smart enough to honor newspaper strips is nice, but not a compelling reason to keep an entire awards program in the face of industry neglect almost a decade old now. 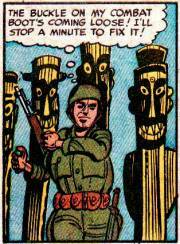 The third reason why the Harveys should consider shutting it down is that the resources and energy currently spent on the awards could be focused on some other way to honor the memory of the great Harvey Kurtzman. There are so many creative ways this could be done now. There could be a scholarship to one of the cartooning-interested schools for someone that in return promised to, say, work up a comics pitch for a glossy magazine. There could be a cash award given to a cartoonist that mirrored Kurtzman's professional path in moving from a sure thing to some less certain but artistically satisfying project. 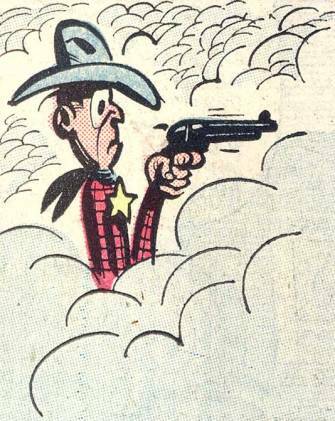 You could have a floating award given to any cartoonist that matched any one of Kurtzman's varied career accomplishments -- drawing attention to the vast number of areas in which Kurtzman worked and excelled. 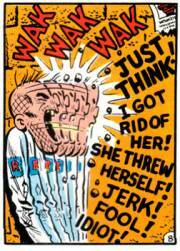 There could a Kurtzman Honor devoted to satire. There could be a speaking series. There could be a program by which six winners get flown to NYCC to pitch to a devoted panel. That's two minutes of thinking about ideas, from one person. There are any number of options out there, all of which I suggest might be a better match than recognizing a selection of very good current comics-makers that may or may not have been thrust into that position because so very few people decided to participate. 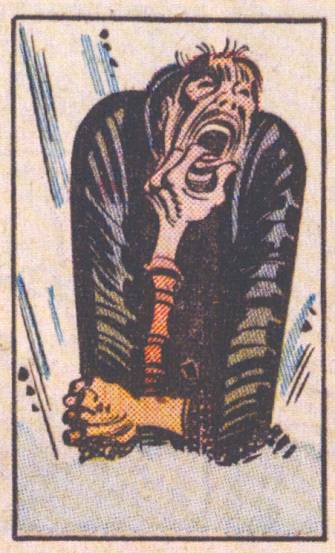 Harvey Kurtzman, was a great, one-of-a-kind comics maker. He deserves to be the namesake of a great, one-of-a-kind honor. So I really hope that the awards considers shutting things down. It's time. I say this with all due respect to Mr. Kurtzman and to all of the people who've worked hard on these awards over the years. I say this as a past multiple-time Harvey Award winner. And I say this as someone who had to look on Wikipedia to see if I'd ever won one, because honestly? I couldn't remember.